Who is in the mood for a delicious side dish? 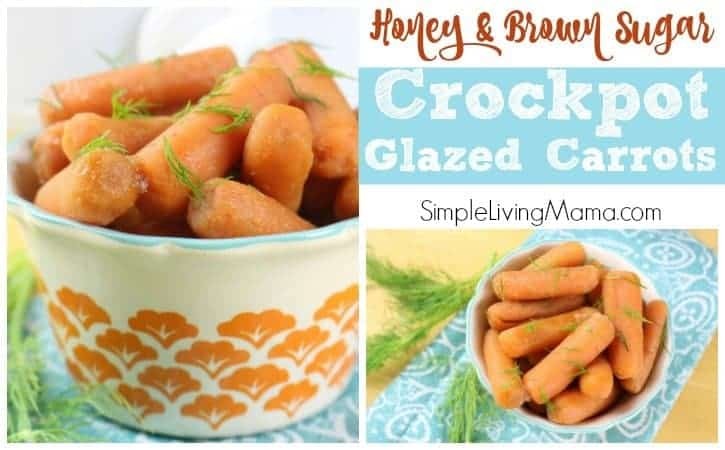 These honey and brown sugar glazed carrots are the perfect side dish for a weeknight meal, or a fancy holiday gathering! They are so sweet and tender that even kids love ’em! 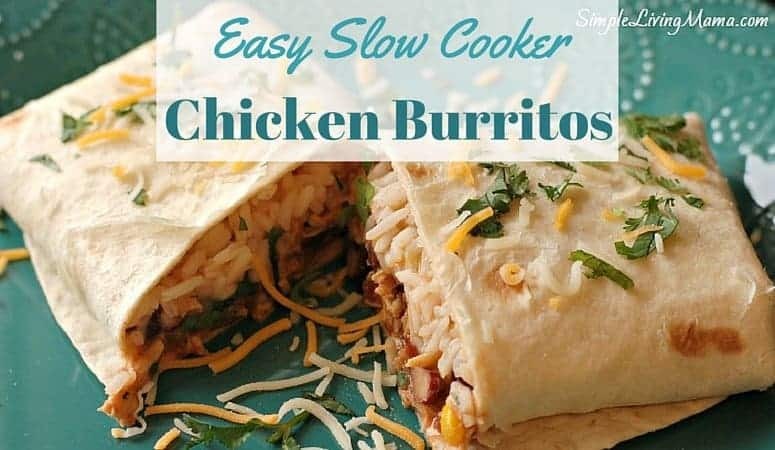 I love that they can be made easily in the slow cooker so you don’t have to babysit them while they cook. This is one of my simple living recipes that I come back to again and again! Let’s gather up the ingredients! 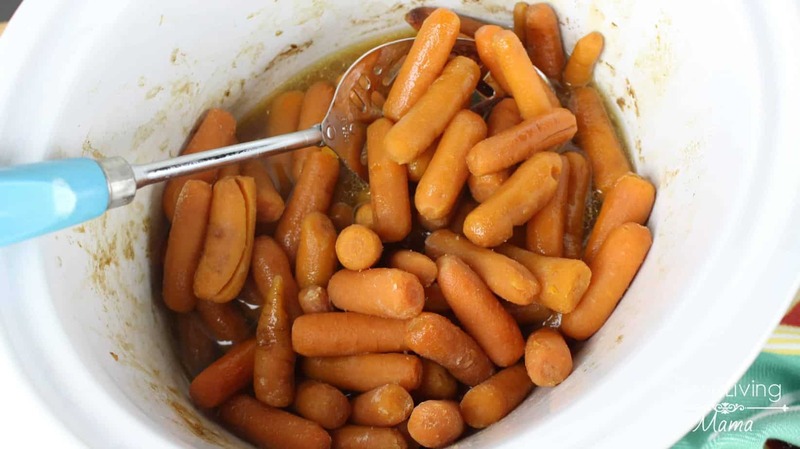 Prepare your crockpot by pouring in 1/4 cup water. 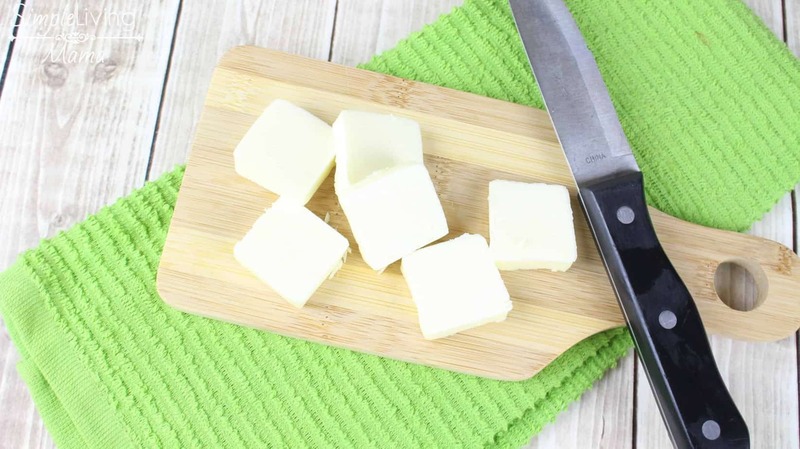 Slice the butter into 6-8 slices. 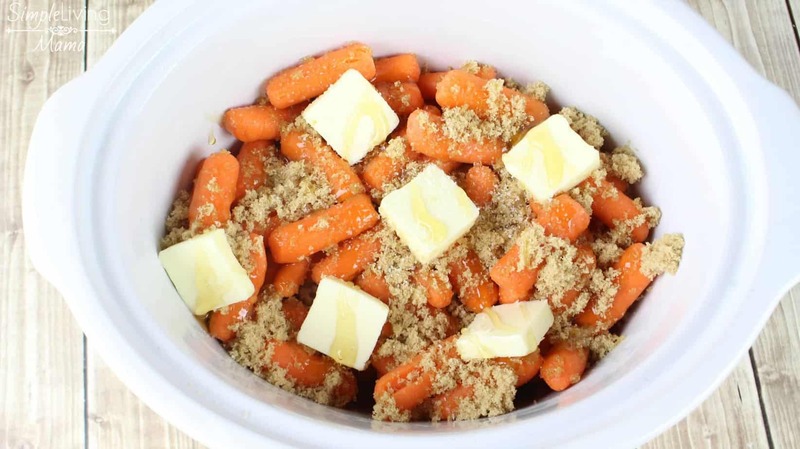 Add the carrots, butter, brown sugar, honey, and salt. And that’s it! 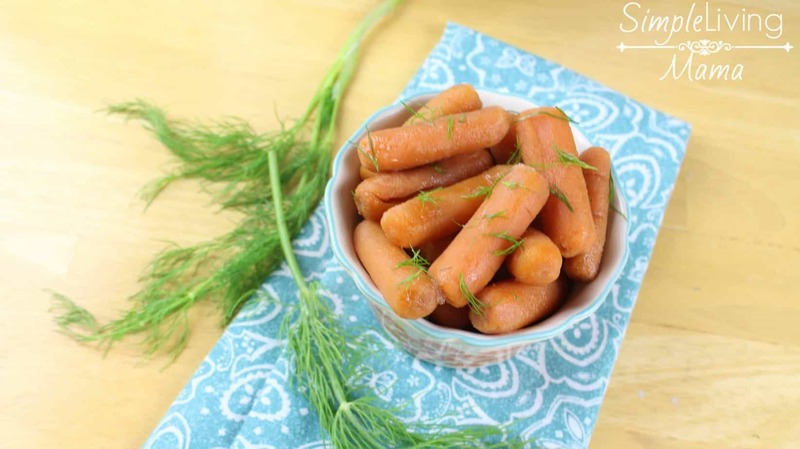 Remove to a serving dish and garnish with dill! 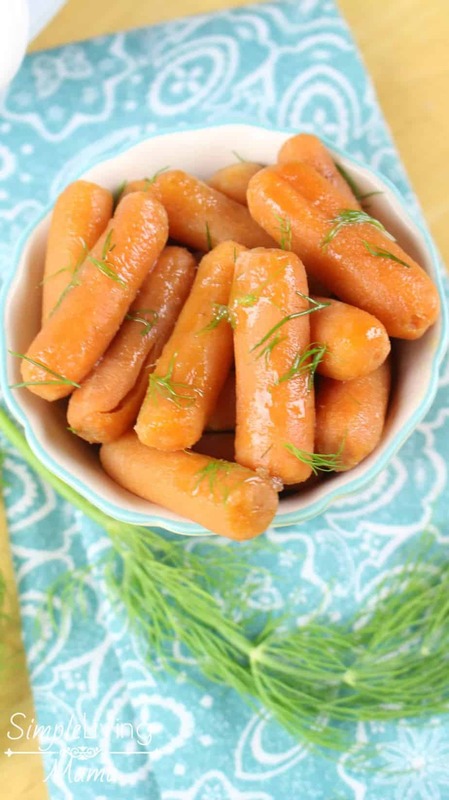 My kids absolutely love carrots as a side dish for our meals. 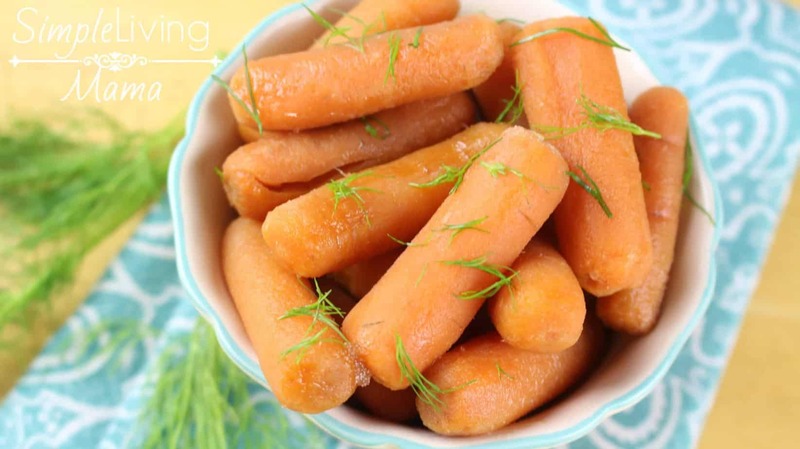 Whether they are raw or cooked, they are always excited to eat their carrots. 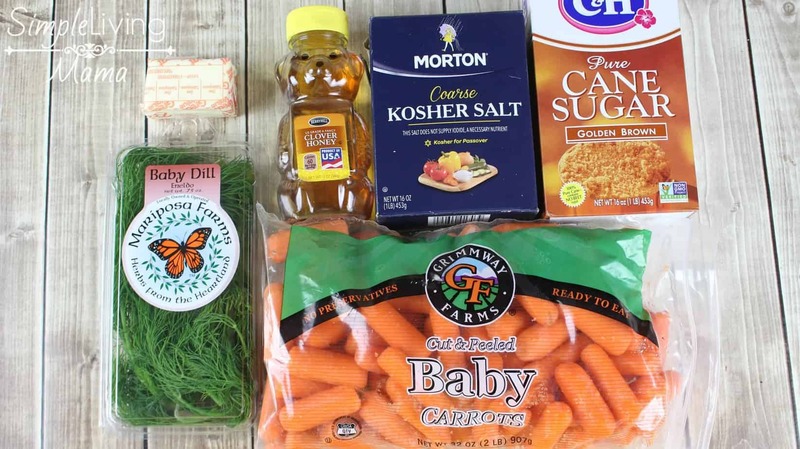 This meal adds a delicious sweetness to the baby carrots that make them extra special! 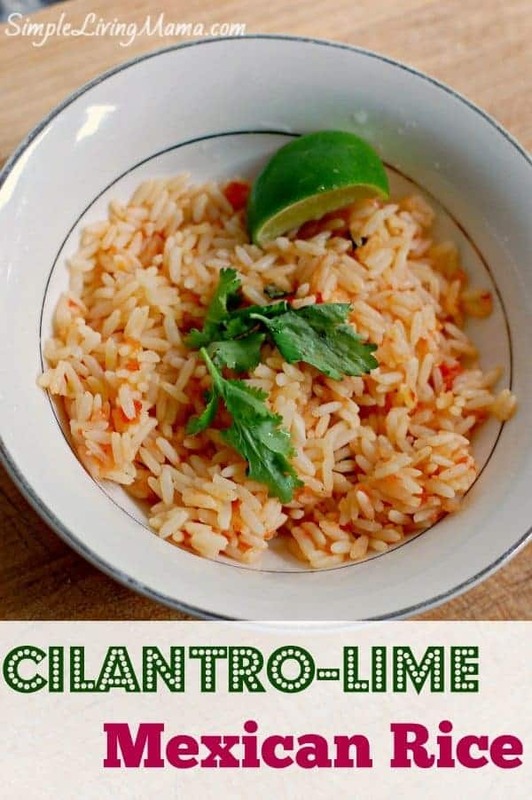 I am planning to make this as a side dish for our Thanksgiving meal. It couldn’t be simpler to prep, and the payoff is awesome! 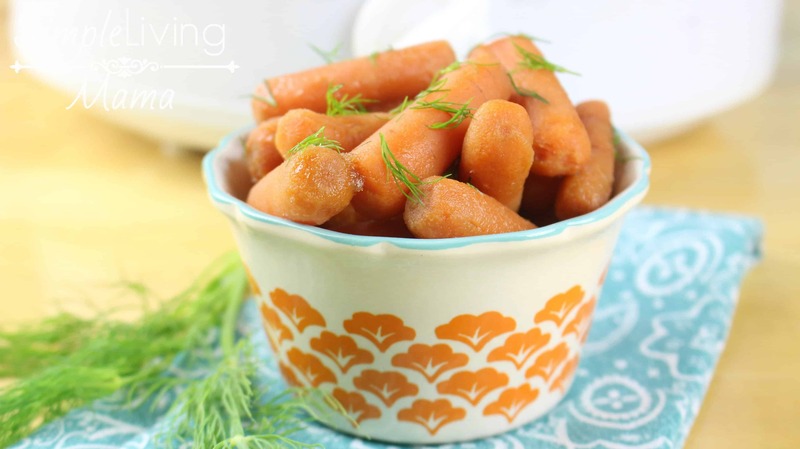 So, if you’re in need of a simple and sweet side dish for your next meal, you’ve got to give this one a try!